Water is essential for life and is critical for a whole host of different functions in the body. The importance of keeping children well hydrated and drinking water throughout the day can often be underestimated. 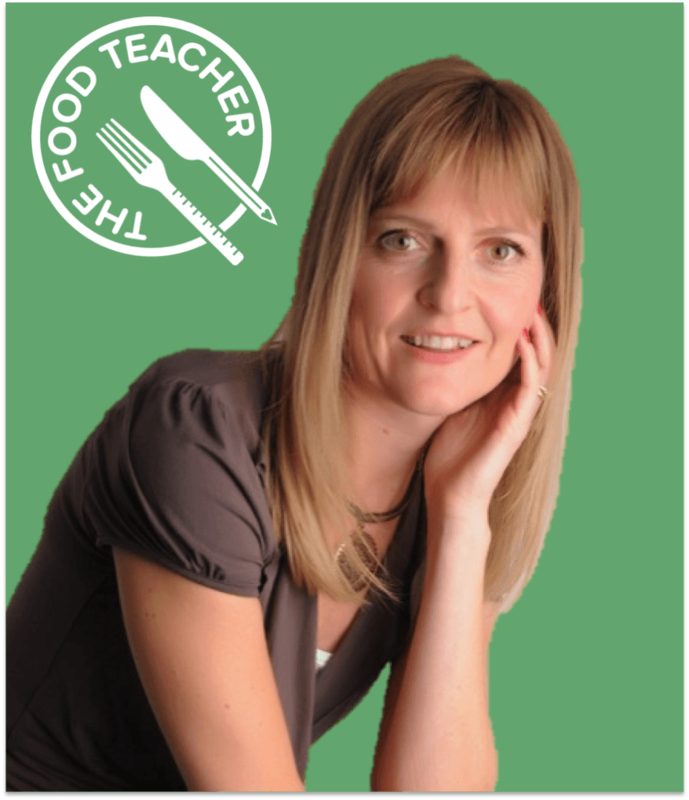 Ensuring fluids are always available, encouraging sipping, and understanding how food can help children keep well hydrated will all support their energy and cognition as well as developing habits that will positively support their health throughout life. All the cells in our bodies require water to function and it plays a number of vital roles. These include regulating body temperature, lubricating joints, keeping tissues such as the mouth, eyes and nose moist and protecting body organs. It also supports the absorption of nutrients, flushes waste and toxins from the body and can help to prevent constipation. There is not one universal recommendation regarding water requirements as it’s defined by many different factors including age, body mass, gender, environment and activity levels. The European Food Safety Authority (2008) recommendations suggest children up to the age of six need 100-190ml per kg per day and 6-12 year olds need 800-1000ml per day but this also includes water from other beverages and food. Infants and children have higher fluid requirements than adults for a number of different reasons, which is why establishing good habits is important. One key reason is their greater body water composition compared to adults, whose bodies tend to be made up of about 60% water. The total body mass of a foetus can be greater than 90%, whereas a new born is likely to be around 75%, which then gradually decreases during the first year of life. 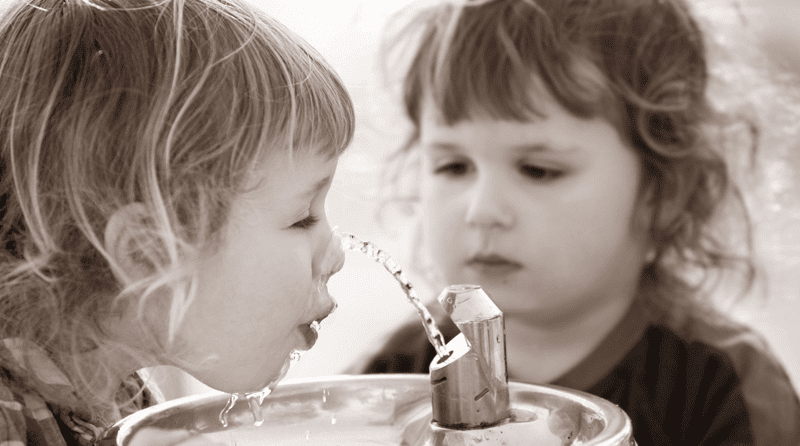 Children’s high surface area for their weight-to-weight ratio can increase water loss through the skin. As growth is so rapid during the first year and during adolescence children also have a high metabolic and respiratory rate increasing water loss via the lungs, which combined with skin, can account for about 35% of water loss. Children also have an immature thirst reflex and can go without water for long periods of time, highlighting the importance of caregivers in establishing regular drinking habits. As a caregiver/parent it’s not always easy to identify the mild signs of dehydration which include feeling thirsty, alert, restless and reduced urine. Urine also becomes more concentrated and darker in colour. As the severity of dehydration increases moderate signs include drowsiness, sunken eyes and lethargy. Severe signs include apprehension, cold, cramps and even reduced consciousness. Research suggests that 60% of children are dehydrated first thing in the morning, which could be impacting on their cognition, energy and mood throughout the day. Encouraging children to regularly sip water can be beneficial for addressing their needs and establishing good habits. Talking about hydration to help children understand they loose water and they need to replace it can help them to begin to register the need to drink. About 20% of our water requirements come from food so raising awareness about foods that contain high levels of water and including those throughout the day as snacks can also develop good habits around food as well as supporting hydration. Foods that contain over 70% water include bananas, sweet corn, strawberries, melon, pears, oranges, apples, grapes, cucumber, lettuce, tomatoes and carrots. Many of these foods are great for snacks and getting the children involved in the kitchen. Equally important, is avoiding foods which increase dehydration, such as processed meals and snacks with high salt content. Understanding the body’s need for water and keeping children hydrated is essential, and establishing good habits at a young age may have an effect for life.